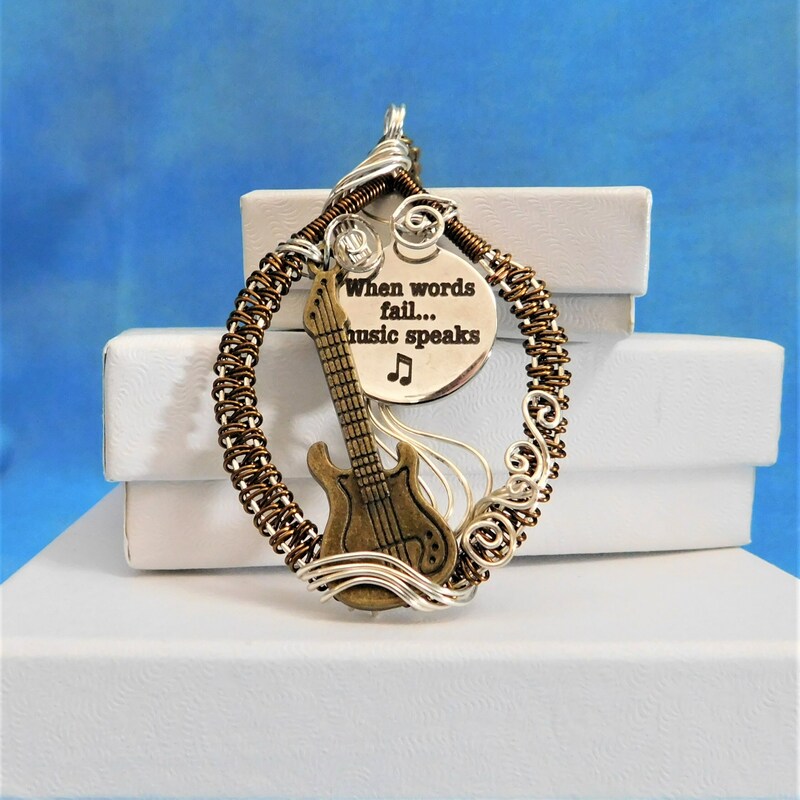 A vintage bronze tone acoustic guitar is framed by meticulously hand woven strands of non tarnish copper wire. 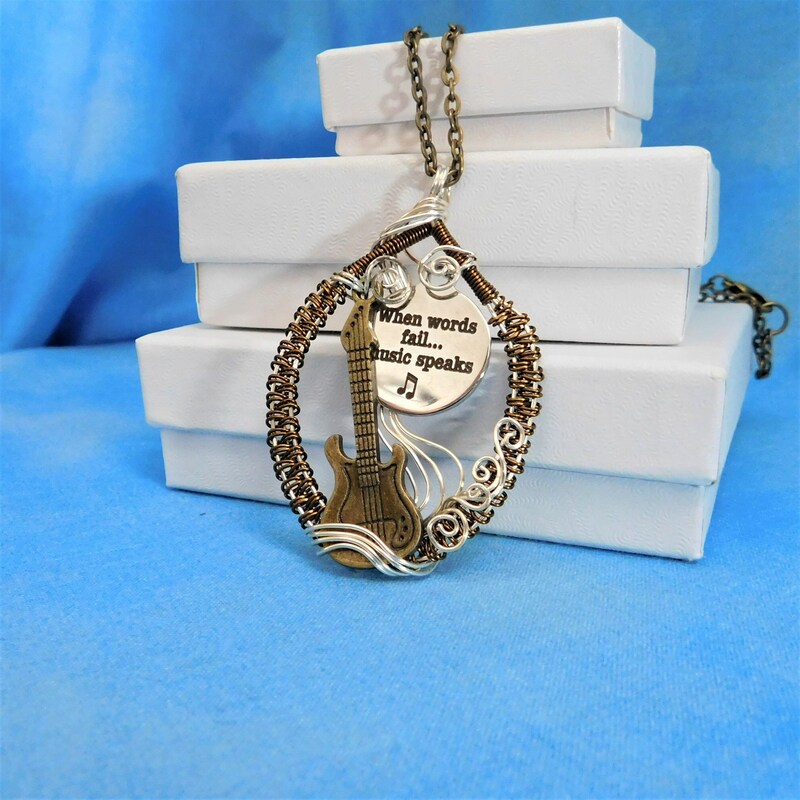 The engraved message beside the guitar states " When words fail, music speaks." 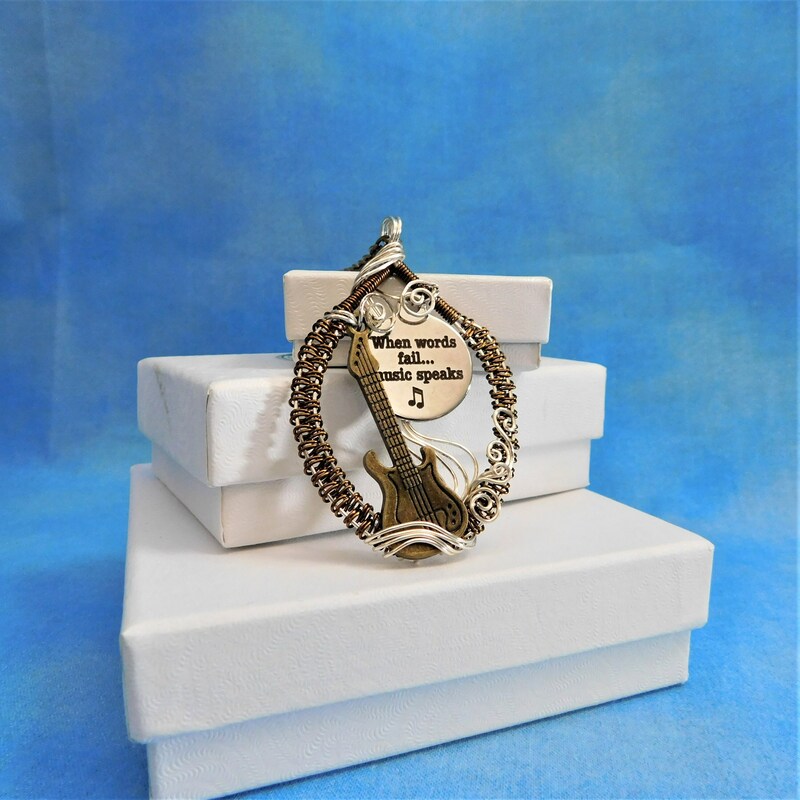 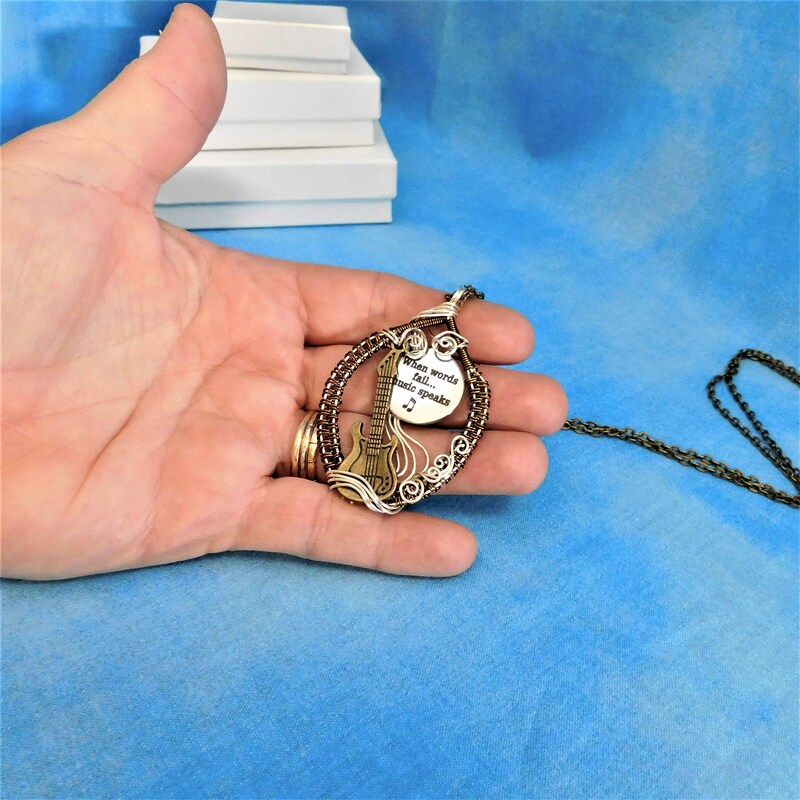 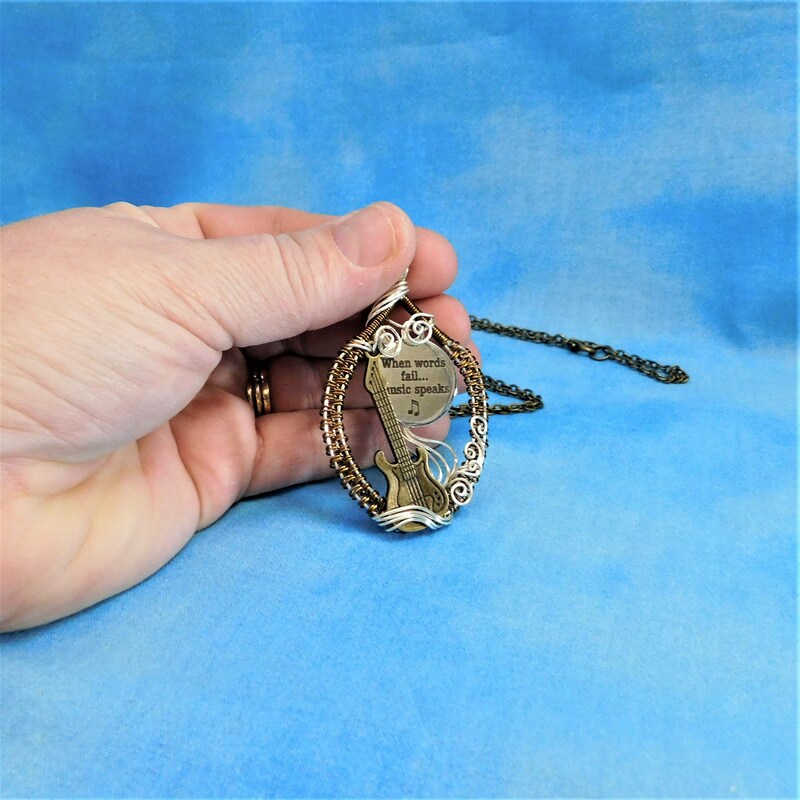 The 2 inch by 1 1/2 inch pendant would surprise and delight any musician, music teacher, or guitar player in your life. 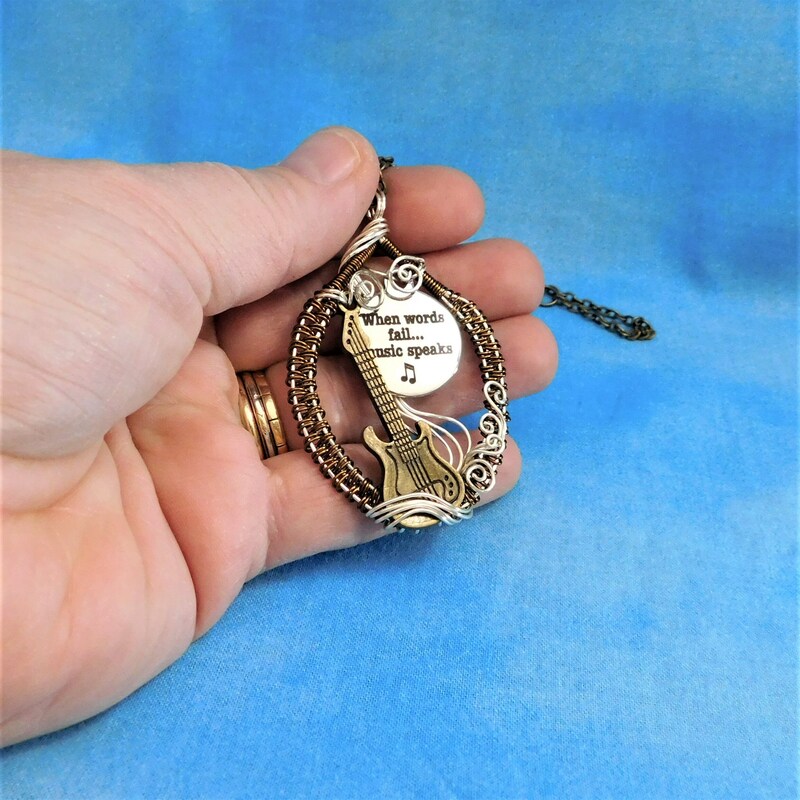 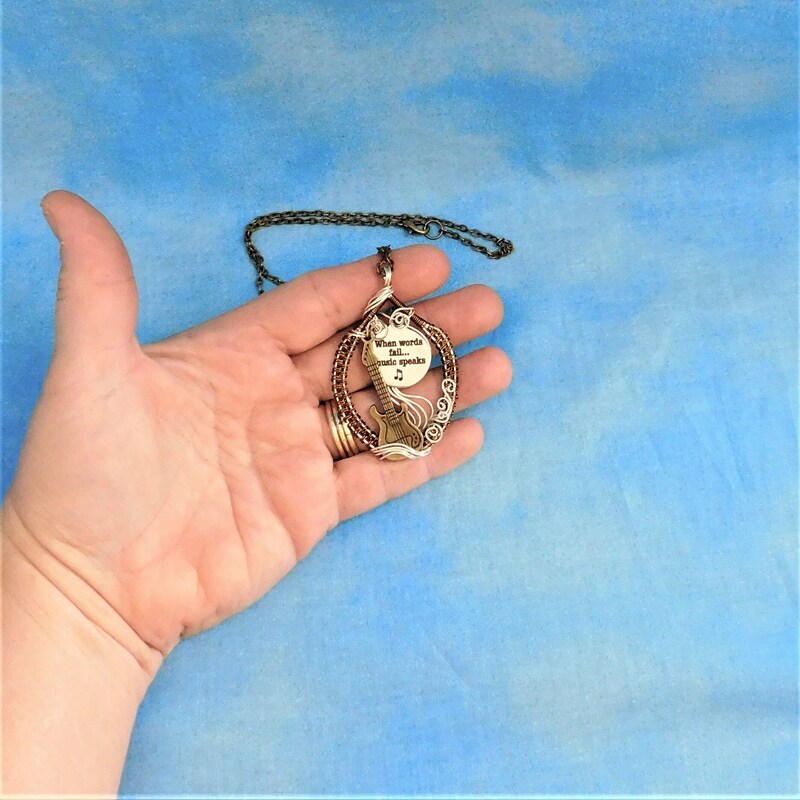 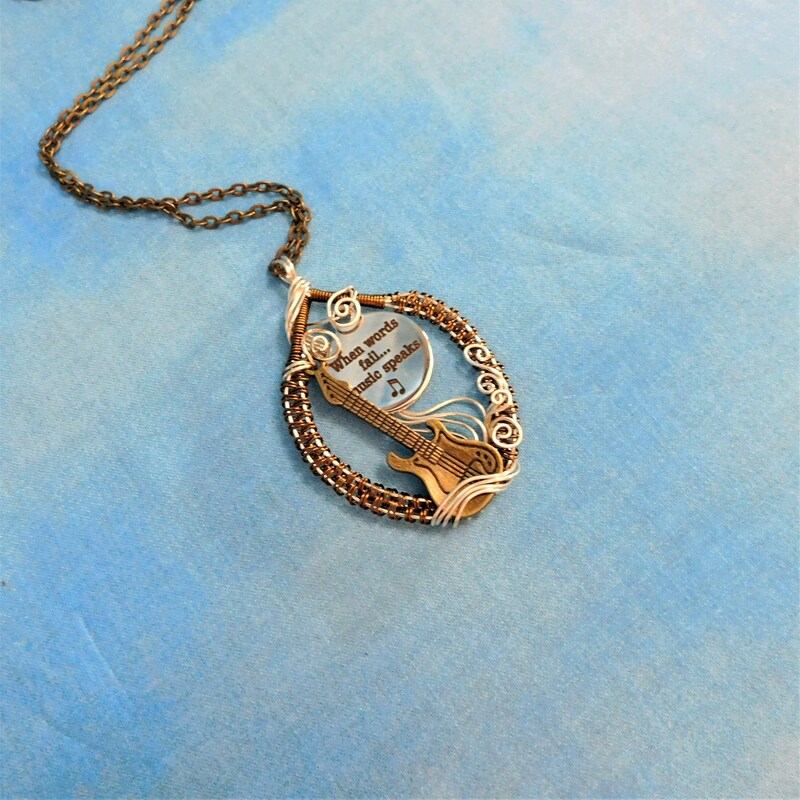 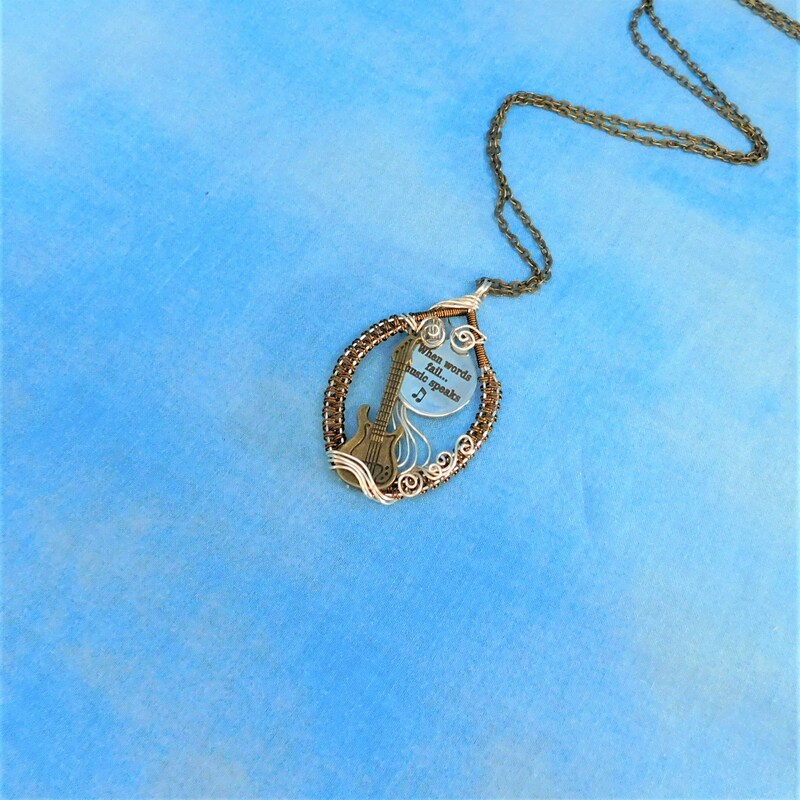 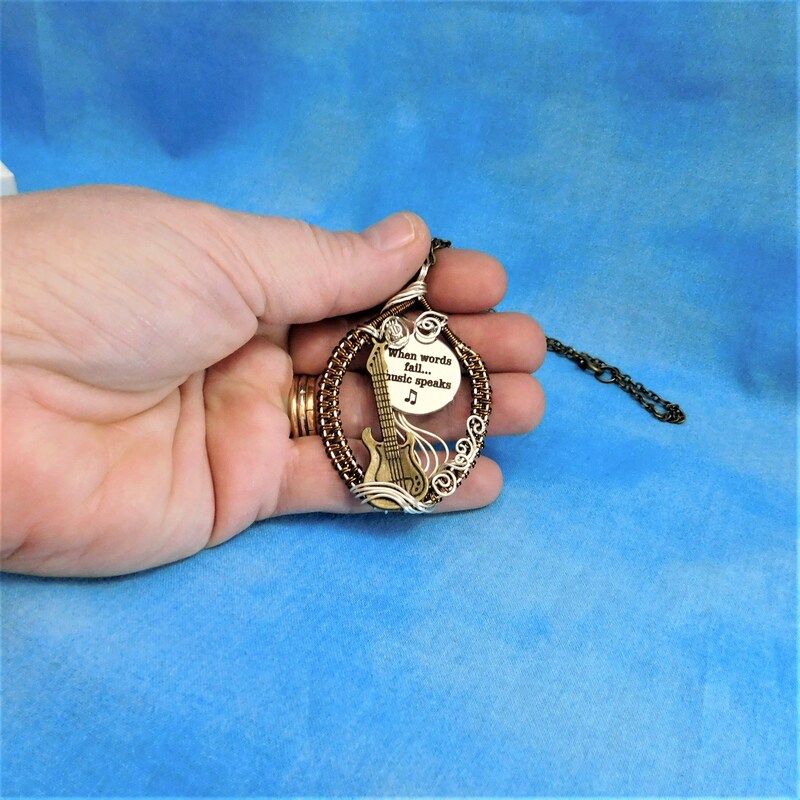 This interesting and fun pendant comes with a FREE coordinating chain with lobster claw clasp, measured to your preferred length.